The 2016 MLB All-Star Game has officially come and gone. Once again the American League gets home field advantage for the World Series. Royals first baseman Eric Hosmer won the MVP award as the National League fell 4-2. Leading up to the All-Star Game was FanFest. WinCraft always makes a lot of pins for this event. Some of them you can purchase, while others need to be acquired by trading. 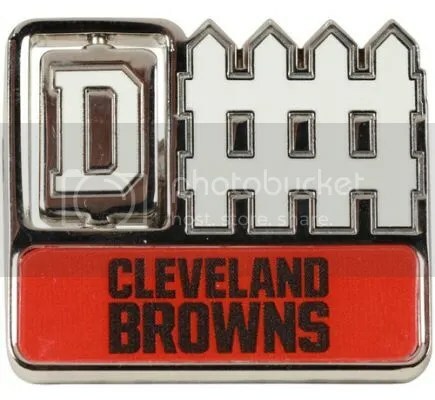 They had a group of pins that would be given out each day at certain times. 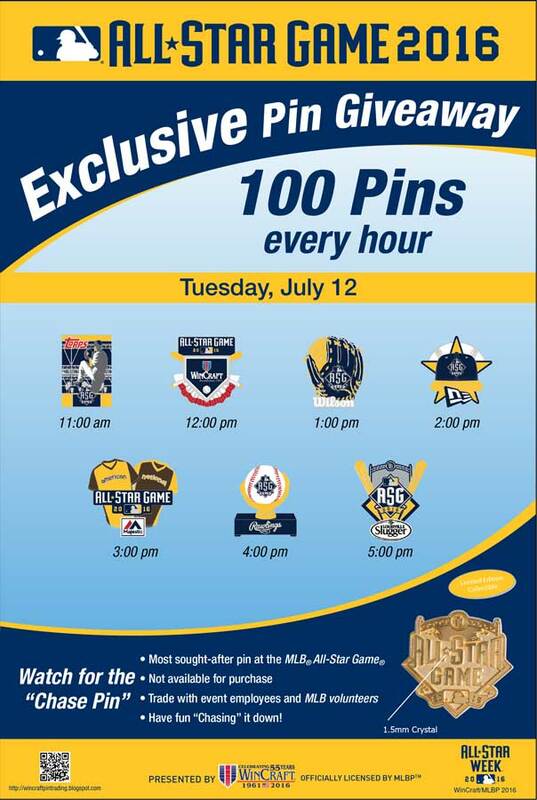 Only (100) of each pin would be handed out at that specific time. These pins historically are sponsored by corporate partners. For 2016, companies such as Louisville Slugger, Rawlings, Majestic, New Era, Wilson, and Topps sponsored pins. 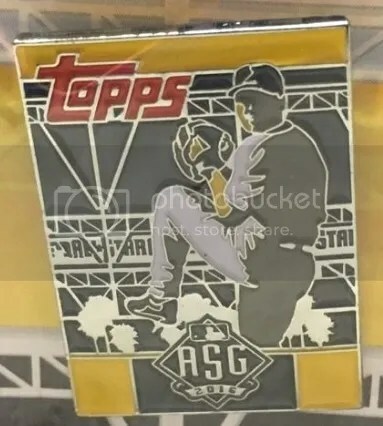 The Topps pin resembles a baseball card and contains a silhouette pitcher. A few have popped-up on the secondary market selling for about $7.00. I always find it cool to see the Topps name on stuff other than cards.